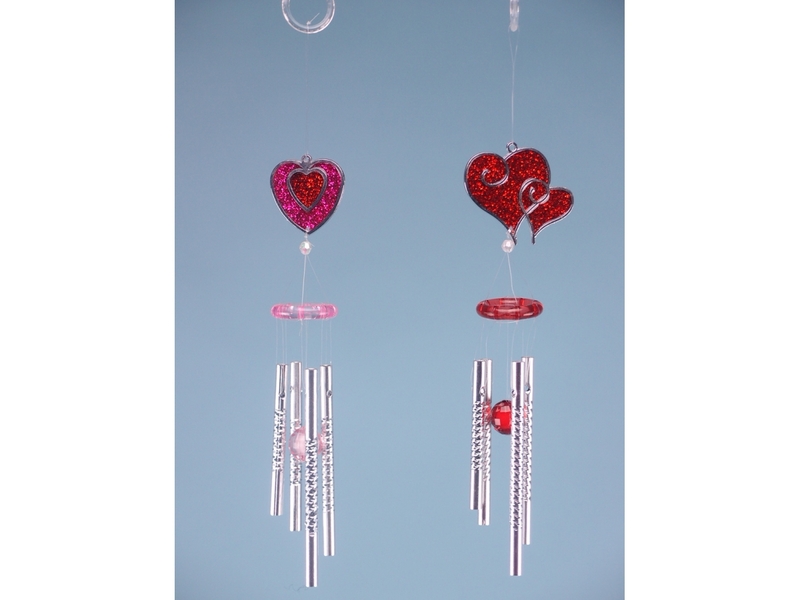 Wind chimes have a long rich history, with various developments spanning cultures, continents as well as uses. With archaeological findings dating back 5000 years, wind chimes have been around for a long time. They were originally believed to ward off evil spirits and bring good fortune to the owner of the property they were being displayed in. Wind chimes were also utilised as warning signals of adverse weather activity, such as storms. 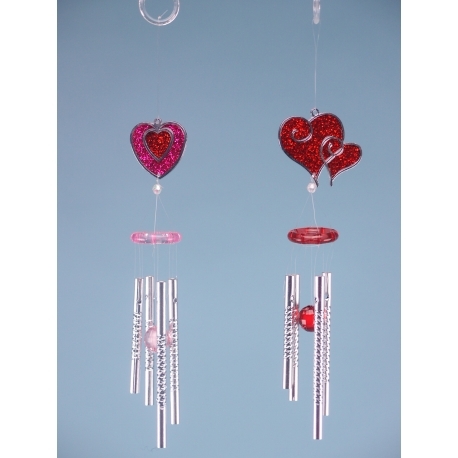 These modern glitter single heart chimes from SDL Imports will make a great addition to any living space. As you can tell from the image above, they are available in two designs, both of which are visually striking.